After finishing all of my midterms for the semester, it was time for a bit of indulging, and by that, I mean fine dining in West Vancouver. It was a beautiful cloudy day, which is the perfect weather for sushi. Actually, every kind of weather is perfect for sushi, but you get the point. 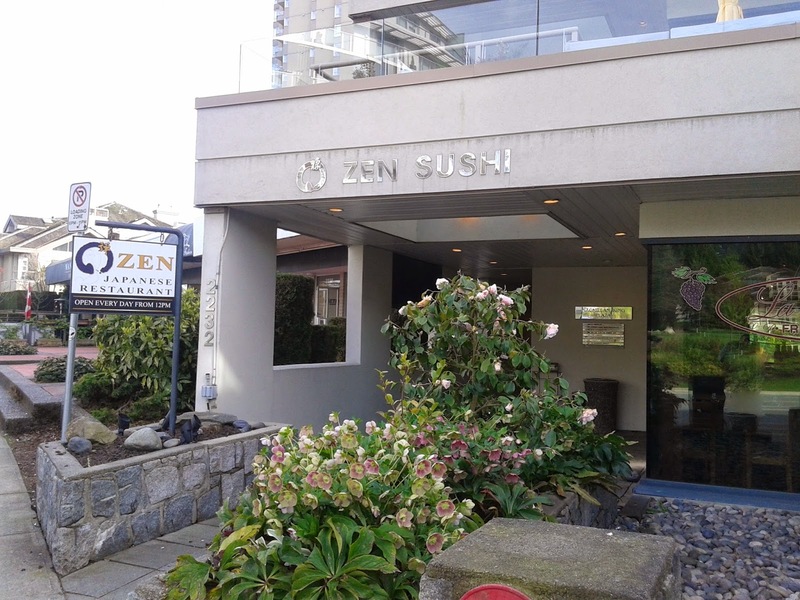 Zen Japanese Restaurant is one of the most well-known sushi restaurants on the North Shore and has been featured in Vancouver's Dine Out Festival. 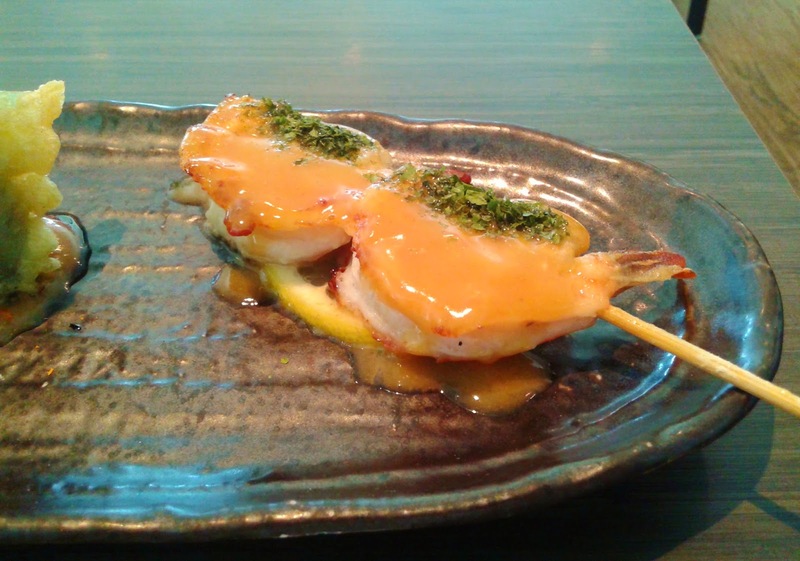 My first visit to Zen was a few years ago and it concluded with mixed feelings. However, I only ordered one item that time, so I decided to give it another try. When I walked into the restaurant, my server greeted me and led me to my table with a stern expression. She was slightly friendlier with the other guests, so I assumed that she was having a bad day or thought I wouldn't leave a tip because of how old I look (or maybe both). 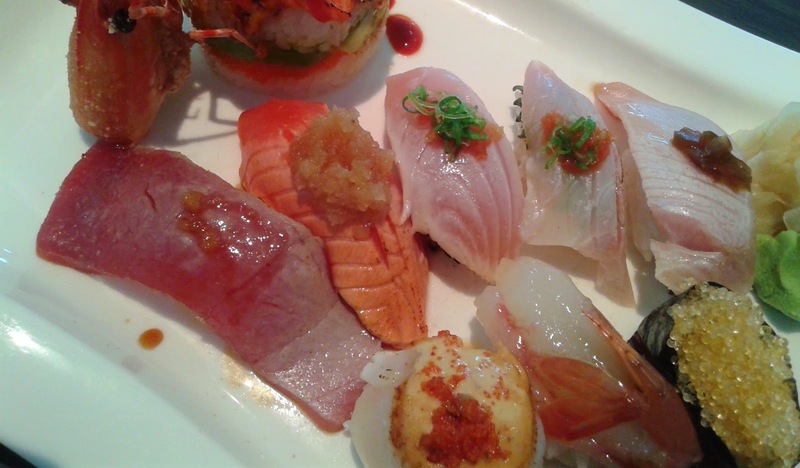 I looked inside the menu to find a large number of innovative and interesting dishes, but not wanting to spend too much, I ordered the Chef's Selection Sushi ($29.95) and the Prawn 3 Ways ($14.95). I planned to order more food afterward if I was impressed. The Prawn 3 Ways came with (from right to left) Seafood Butteryaki, Tails Up, and the Popcorn Shrimp Roll. Now, there are many places where you can fill yourself for $14.95, but at Zen, it seems that $14.95 buys you a snack-sized dish. The Seafood Butteryaki is subtitled "Zen's signature teppan grilled prawns and scallops". The prawns had a good texture and a good snap. The butter was quite rich in flavour and overpowered the prawns. The Tails Up consisted of fried marinated Japanese kisu stuffed with sweet prawn pâté served on Japanese saikyo miso sauce. The batter was sufficiently crispy and the sauce had a bit of a wine-like flavour to it. I felt that the sauce went against the prawn rather than with it, and I'm not sure how this can happen with a pâté, but one of the shrimp legs was still intact. 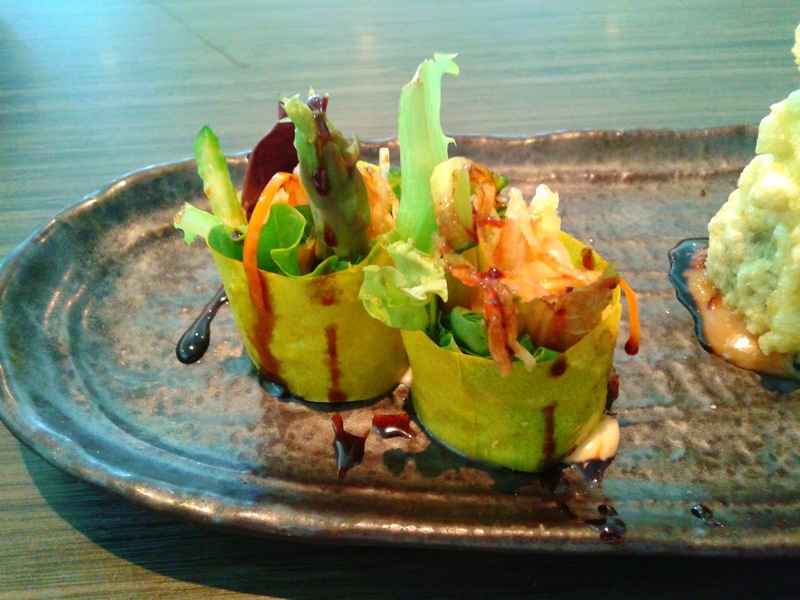 The Popcorn Shrimp Roll consisted of lightly fried cocktail shrimp with organic spring greens and marinated vegetables rolled with soya wrap. Unfortunately, the asparagus wasn't the freshest and it took the spotlight. Removing the asparagus, the roll was quite decent and the sauces matched the popcorn shrimp well. At this point, I was a bit disappointed that the Prawn 3 Ways turned into "3 ways to prepare prawns so that you can't taste the prawns anymore". However, I was still hopeful that perhaps something good will happen with the next dish. The Chef's Selection Sushi came with 9 pieces of Zen specialty nigiri sushi and a torched salmon sushi tower. It was beautifully plated and seemed like a much better value than the Prawn 3 Ways at first glance (even though it was twice the price). Indeed, the nigiri did not disappoint. 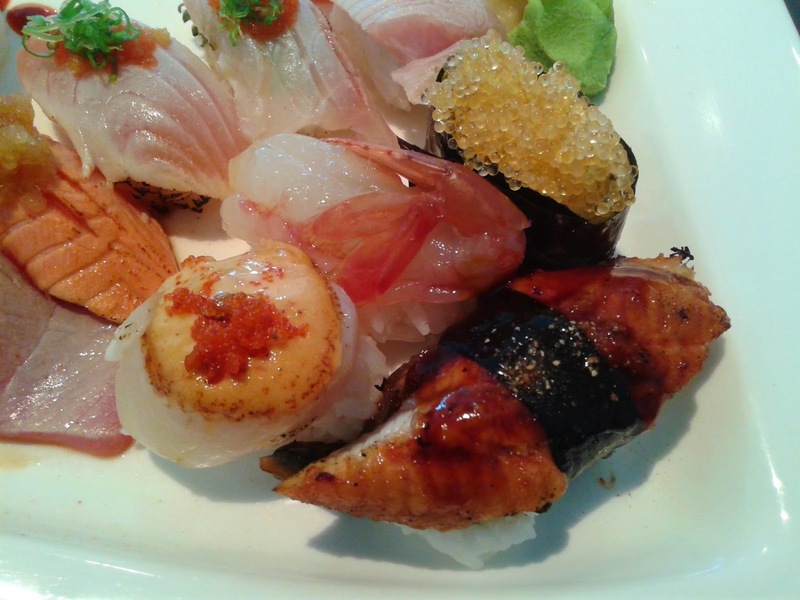 The Seared Scallop Nigiri had a brilliant smoky flavour and a slight spiciness for an extra zing. It was deliciously soft and smooth. 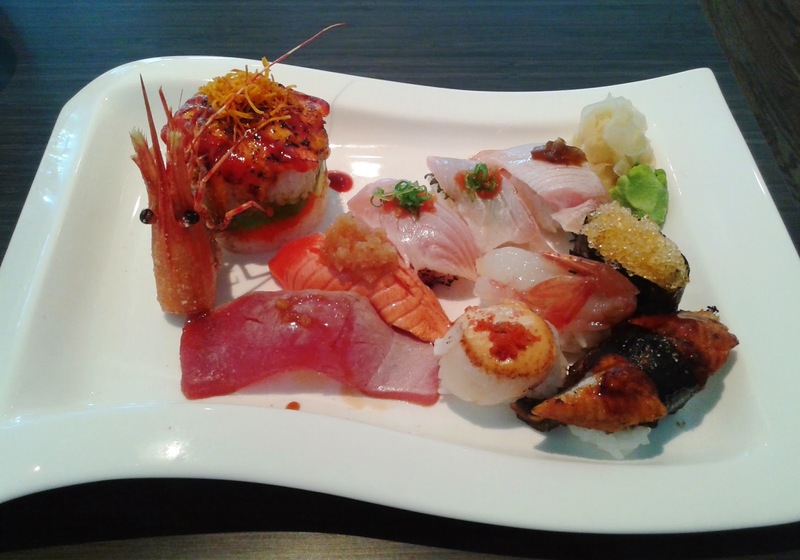 The Amaebi Nigiri had sufficient sweetness and a nice, creamy flavour. The Tobiko Nigiri had an enjoyable pop to it, but it didn't pack much flavour. The Unagi Nigiri was quite large and was dressed with just the right amount of unagi sauce. It had a smooth texture and a delightful BBQ aroma. The Seared Ahi Poke Nigiri came with a light seared taste and the dressing matched well with the smooth texture of the ahi tuna. The Seared Salmon Nigiri was overpowered by the daikon, though the salmon tasted fresh. While the Seared Salmon Nigiri lacked a seared taste, the Seared Tuna Nigiri did not, and its smooth texture made it highly enjoyable. 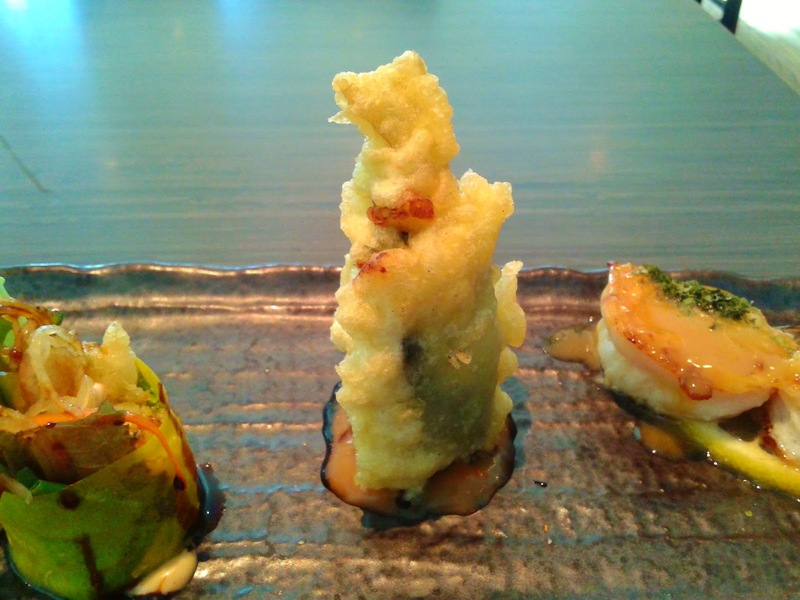 The Shiromi Nigiri (flounder) had a smooth texture and a small shiso leaf to give it an extra dimension of flavour. The Jalapeño Hamachi Nigiri didn't have any spiciness to it, but the hamachi had a nice, well-balanced flavour. The Torched Salmon Sushi Tower was quite attractive in appearance. The thin layer of seared salmon and its accompanying mayonnaise was decent and was reminiscent of Miku's Aburi Salmon Oshizushi. The avocado added a layer of creaminess and sweetness which I enjoyed. However, I am pretty sure that there is a better choice than Japanese sweet chili sauce as a final topping for the tower. My server finally smiled at the very end of my visit after she discovered that I would actually give her a tip. 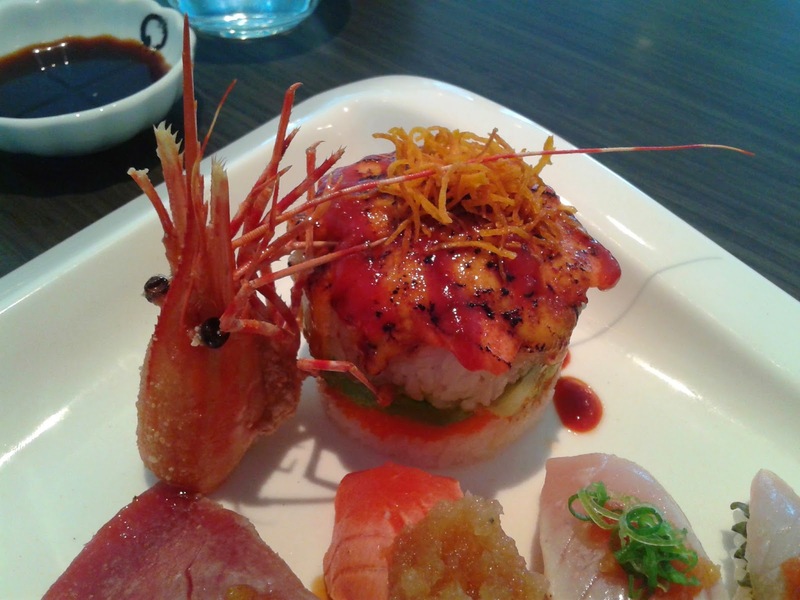 While the Prawn 3 Ways was quite disappointing, the nigiri sushi was remarkably well-prepared. My biggest issue was that I was only half full after spending $50+ (including tax and tips). Not wanting to take another $50 gamble on overpriced food, I decided to head back to Downtown Vancouver and buy a Japadog so that I could engage in one of my favourite pastimes: walking down Robson Street with seaweed flying everywhere. Unless you're planning to eat very little, I think it's still pricey with the Groupon! From what I read online, I think Zen is a restaurant that was once good but gradually deteriorated over time. I won't eat there again either. We're basically paying big bucks for just some decent ambience!